Neuromuscular electrical stimulation (NMES) devices have been around for some time and used on everyone from professional athletes to your hometown high school’s leading scorers. These discreet, portable devices are meant to rehabilitate muscles following injury, or enhance muscle performance, via tiny electrical impulses transmitted directly through the skin. 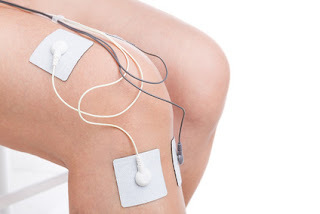 Electrical stimulation has been shown to improve muscle contraction and increase blood flow. While it may be tempting to purchase and administer use of one of these popular devices on your own, it is best to consult with your board-certified orthopedic surgeon or physical therapist before doing so. If the electrical currents are not carefully monitored, further tissue damage can easily occur...unfortunately setting back your recovery time that you initially sought to speed up. If you have questions about whether an electrical stimulation device is right for you, please contact us for an appointment.